The cruise embarks from Luxor every Wednesday/Thursday for 7 nights, where you spend your first night before beginning your journey down the Nile the following day.The Sunrise Select M/S Terramar is designed to be one of the most luxurious and comfortable 5 star deluxe cruise liners on the Nile. 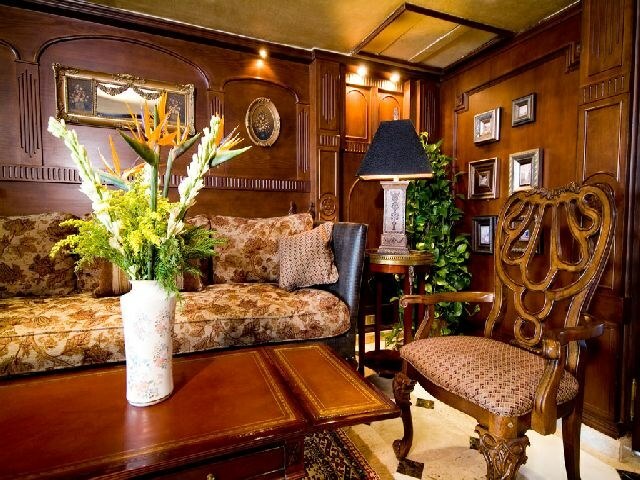 The boat offers comfortable luxury accommodation, privacy and plenty of breathing space. The cuisine is delightful and relaxation options are superb. Please note, Nile cruises can only be booked for 4 or 7 night durations. Other durations will not be accepted. The M/S Terramar is not suitable for guests using wheelchairs or for parties with children under the age of 6. Food, drink and entertainment: The Board Restaurant (buffet and a-la-carte specialties), lounge bar/disco, sun deck bar with a fantastic Nile view. Sport, games and activities: Sun deck with swimming pool and recreation area including jacuzzi, massage (extra charge / reservation / 16yr +) and fitness machines (16yr +). There is also a billiard table, darts, and a library corner. Additional: The Cruiser has a 24 hour reception area, bell captain, multilingual staff, laundry service and a doctor. There are also souvenir shops, a boutique and a jeweller. Guests travelling on the 4 night cruise will depart Luxor and arrive in Aswan, transfers from Aswan to Luxor will need to be booked separately. - East Bank : Luxor Temples. - Entrance fees to all sights visited. 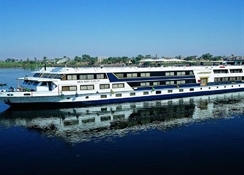 The cruise embarks from Luxor every Wednesday for 7 nights, where you spend your first night before beginning your journey down the Nile the following day.The Sunrise Select M/S Terramar is designed to be one of the most luxurious and comfortable 5 star deluxe cruise liners on the Nile. The boat offers comfortable luxury accommodation, privacy and plenty of breathing space. 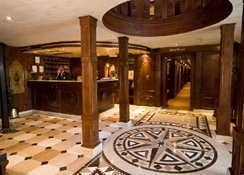 The cuisine is delightful and relaxation options are superb. Please note, Nile cruises can only be booked for 4 or 7 night durations. Other durations will not be accepted. The Cruiser has 20 spacious suites in different categories spread over three decks. Each suite is equipped with a telephone, satellite TV, air-conditioning with individual control, a mini-fridge, safe and a seating area.. The bathroom is equipped with a bathtub and a shower, a hair dryer and makeup mirror. The panoramic windows guarantee a great river view. Meals:Breakfast, Restaurant, Daily: 06:00 - 07:00.Lunch, Buffet, Restaurant, Daily: 13:00 - 14:30.Dinner, Buffet, Restaurant, Daily: 19:00 - 20:30.Afternoon Tea, Bar (Sundeck- tea, coffee & cake), Daily: 16:00 - 17:00.Drinks:Locally produced Alcohol; Locally produced non Alcohol, Soft drinks; Beer; Wine; Spirits; Cocktails; Mineral water, Bar, Daily: 10:00 - 00:00.